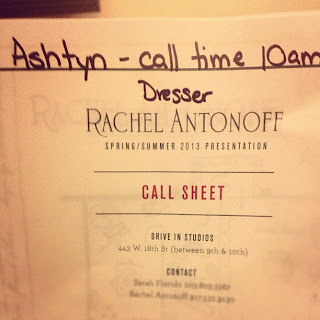 So as I stated in my last post, I was granted the amazing opportunity to work the Rachel Antonoff spring 2013 show! I took bunches of pictures, but researching the show later on I found much better quality ones. The show was set in the theme of a garden maze, with models stationed in every corner doing something like playing tennis, picnicking, or relaxing on a bench. There was a big water fountain and multiple trees, bushes, flowers and topiaries. The inspiration for the show is from a scientific video called the powers of 10, which was reflected in the fabric of some of the clothes. Click here to watch the video. Around 1:10, you can understand where the fabric idea was drawn from. Overall it was a great show. I had an amazing time just soaking in the environment and all the things I learned. 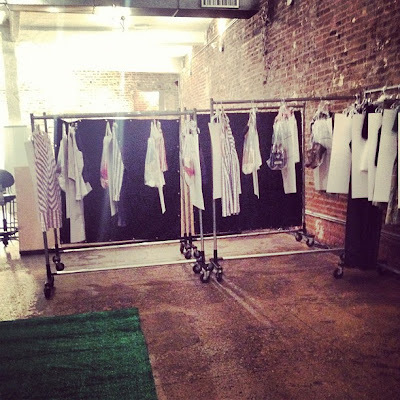 I also got to meet some fabulous people such as band members from the band FUN, actress Lena Dunham, actress Hailee Steinfeld, and singer Sara Bareilles.Working with the models and designers and press in that fast paced of an environment was such an eye opener of what really goes on behind the scenes in the fashion world. I can only hope that one day I will have the chance to show to the world and the people I love my designs, and my ideas. 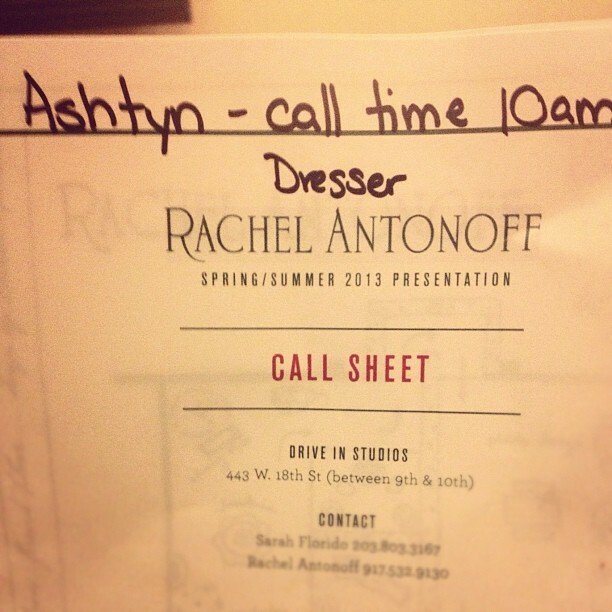 My official call sheet! I felt beyond important. When I first arrived on set, I was assigned 3 models. These were there clothes! One of the models I had just dressed getting approved. An adorable pair of Rachel Antonoff embroidered saddle shoes. 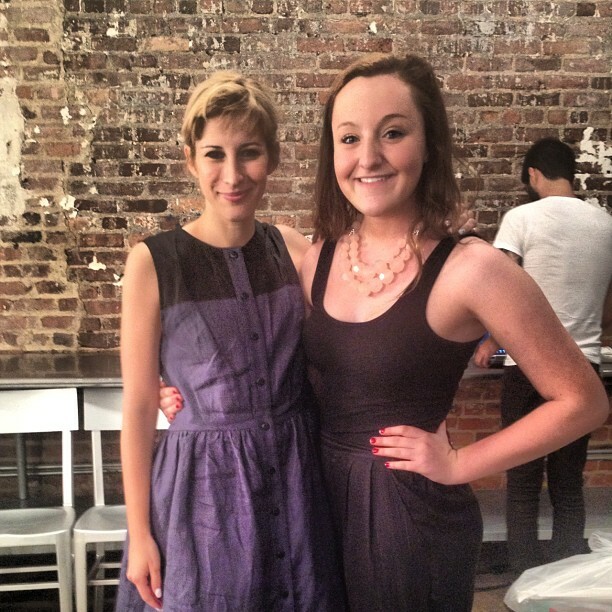 Me and the designer Rachel Antonoff! 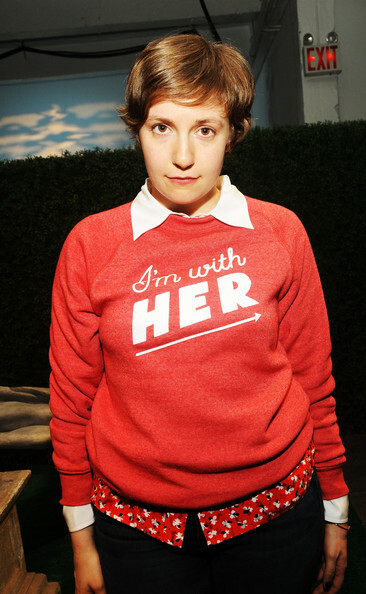 So amazing to work with.